The Aftermath of Amazon Prime Day - Fail or Success? Last week we reported on Amazon’s Prime Day, which was met with mixed opinions across Twitter, with many Tweeters using the hashtag #AmazonPrimeDay to show off the most obscure sale items they could find. Some may argue it was more like a ‘garage sale’ than the Black Friday challenger Amazon promised to its Prime Customers, with discounted items including chef hats, multi pack knuckle dusters, amongst other random offerings. Not that there weren’t some fantastic offers available, it just seemed that these were selling out faster than the excited buyers were expecting. Perhaps not what consumers were expecting then, especially considering the online retailer’s claims that items in the sale had been carefully selected; Abode has reported that half of the overall social sentiment about Prime Day expressed disappointment. 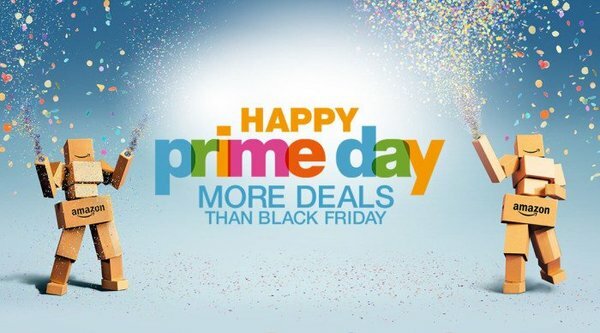 Despite the negativity directed to the flash sale, Amazon Prime Day gained the e-commerce giant a 40% boost in sales across Europe, plus a further 80% increase in the US. According to the company, the event broke sales records and exceeded Black Friday 2014 sales, which had been the biggest to date. So, was Prime Day A Success? It is worth remembering that the brand’s sales event was only available to subscribers who pay £79 a year for the Amazon Prime service. However, the initial goal of Prime Day was to convert shoppers to subscription customers, rather than just simply selling more merchandise. Revealing that more new members tried Amazon Prime than on any other day in Amazon’s history, we see this as an indication of a promotion day working pretty well for Amazon! In fact, the e-commerce giant has confirmed that it will host a Prime Day again: “Going into this, we weren’t sure whether Prime Day would be a one-time thing or if it would become an annual event. After yesterday’s results, we’ll definitely be doing this again,” said Greg Greeley, VP at Amazon Prime in a statement. At Competitor Monitor, we think it will be interesting to see how the contagious nature of sales events like Amazon’s Prime Day will impact on the e-commerce space. While this might be welcomed by consumers looking for cheaper deals, for manufacturers, this could mean being forced to offer unrealistic prices in order to compete.